Use our emergency locksmith services for the fastest lockout opening, repair and rekeying. Hire us to install and replace door locksets of all kinds. Our company has top professionals in Illinois assisting homeowners, businesses and car drivers. 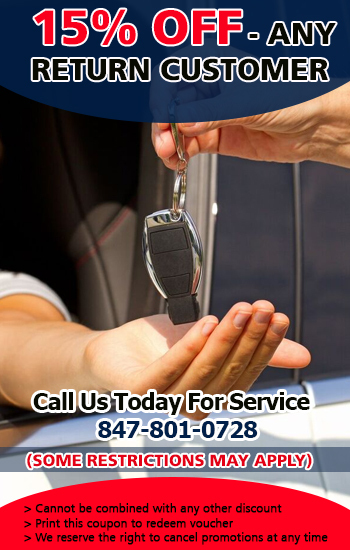 Security risks are eliminated when you trust “Locksmith Glenview”. Over the years our company is serving the city area, the security of customers has always been our number one priority. Whether for emergency needs or regular lock replacement and installation requests, the services our team provides are effective. We built our good reputation on discretion, commitment and timely services. Our technicians are not only exceptional professionals but also trustworthy people, who respect everyone's needs and try to cover them in a timely manner. From the simplest service involving the duplication or replacement of a single key to the installation of keyless and regular door locks, people of all ages, occupations and needs have made our company their number one choice. This is hardly accidental. What makes Locksmith Glenview strong is its persistence to keep travelling ahead by investing in improvements. We have full understanding of what you are going through during house or auto lockouts and do our best to help you as fast as possible. Thanks to our mobile professionals, emergency demands are covered in timely fashion and to your satisfaction. Taking chances with your security is not in our menu. Our up to date training and devotion indicate our skills to rekey, repair, install and replace all locking mechanisms efficaciously. When you work with us, you can be sure that the broken office keys will be replaced soon, the new locks will be installed properly and all your security concerns will just fly out of the window. Do you want to ask a few more things about us? Do you need rekeying services now? Just give us a call at 847-801-0728!